I Scream, Oprah Screams! Do You Scream for Graeterâ€™s Ice Cream? Oprah’s Favorite Ice Cream Finally Makes it to the Tri-State Area! 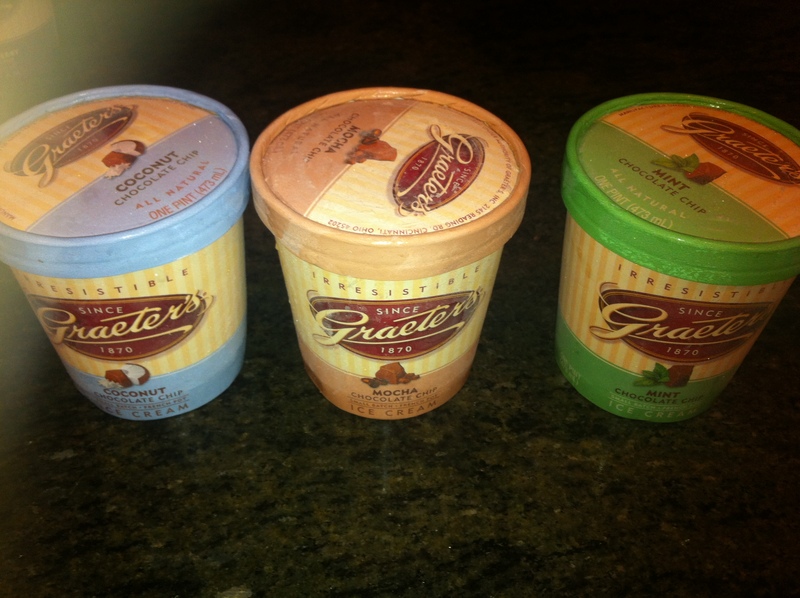 Recently I had the opportunity to try Graeterâ€™s ice cream! How fun! My family and I love ice cream and I had never tried Graeterâ€™s before. It is one of Oprahâ€™s favorite ice creams and who could blame her with the amazing chocolate chunks in all their flavors. Ok almost all their flavors. They use the most amazing chocolate and big chunks of it to boot. Score! Plus now they are available at stores in the tri-state area. Yippee! Since its founding in 1870 by Louis C. Graeter, Graeter’s French PotÂ Ice Cream, handmade chocolate confections and fresh baked goodsÂ have become traditions in the Queen City. Today the Graeter familyÂ still faithfully uses his century old recipes and methods of production.Â Graeterâ€™s has perfected our traditional French Pot process, making the worldâ€™s finest ice cream just two gallons at a time. Itâ€™s the only way to achieve the irresistible creaminess that is Graeterâ€™s. Who doesn’t want to sample ice cream? My family was up to the job. We had the opportunity to sample the different flavors below. This is our Signature Flavor and All-Time Best Seller, an absoluteÂ “must-try” for anyone new to Graeter’s. We hand select triple-washedÂ black raspberries from Oregon’s premier grower. Mint and Chocolate, a marriage of flavors made in heaven.Â Triple Distilled Peppermint Oil and our signature chipsÂ come together in this famously popular classic. Chocolate and coffee, another undeniable combination of natural flavors!Â Think tall, double espresso, mocha cappuccino, extra creamy,Â hand-packed and frozen in a pint. A chocolate-loverâ€™s dream, this decadent combination of bold chocolate ice creamÂ and our biggest dark chocolate chips promises to astonish even the mostÂ die-hard chocolate lover in your family. Over the last 130 years, weâ€™ve managed to perfect this classic combinationÂ of premium vanilla and signature dark chocolate chips.Â Did we mention itâ€™s our second best seller? No wonder my father in law picked this one as his favorite. Our creamy coconut ice cream laced with our signature chocolate chips. This one is my personal fave! I love coconut and the combo of coconut with the chocolate is to die for. Many celebrities have publicly professed their love for Graeterâ€™s ice cream. Â Here are a few sweet endorsements from some seriously famous folks! July 2002 Christopher Buckley, Editor, Forbes Life In his article entitled â€œIce Cream: A Memoir,â€ Christopher stated that he agreed with a dear friend that the best ice cream in the world is made in Cincinnati by a firm called Graeterâ€™s. Â July 2003 Bobby Flay, CBS Early Show resident chef Bobby says his favorite Graeterâ€™s ice cream is Black Raspberry Chocolate Chip; and he also enjoys seasonal flavors like cinnamon, coconut chip and peppermint. December 2007 George Clooney, Nick Lachey & Sarah Jessica Parker All of these celebs have ties to Cincinnati, and Graeterâ€™s is a hometown favorite of theirs. So what are you waiting for? 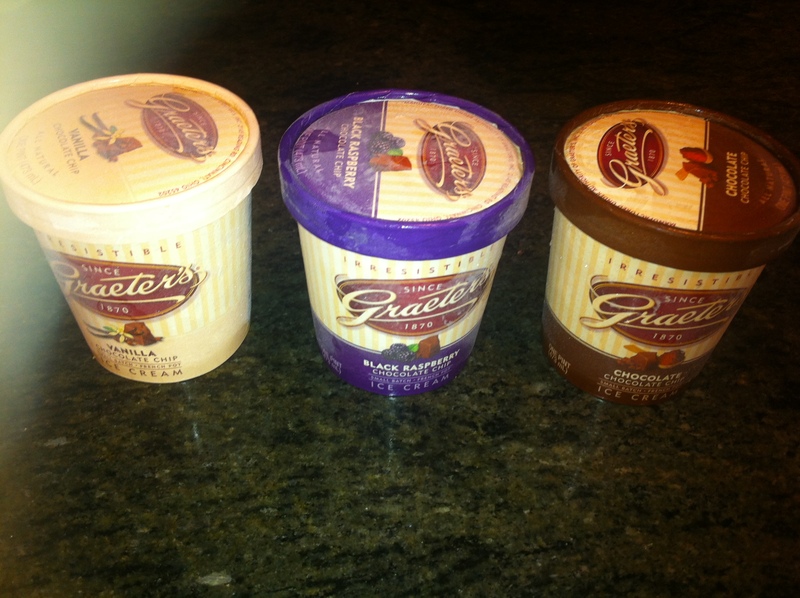 Check out the Graeterâ€™s website HERE and see where you can purchase near you. Donâ€™t miss a post! Subscribe to my blog to get my posts via email! *Disclaimer â€“ I was not required to write this post. The thoughts and opinions expressed here are my own.